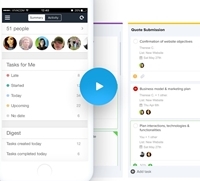 Thanks to all those who commented and interacted about the best task management app last week. After much thought, I’m going to give Todoist another try. Why? First, because it works offline. After a month in which I spent quite a bit of time overseas, out of wi-fi range, I became more convinced than ever that it was no longer possible for me to track my to do list in an app that required internet connectivity to function. Second, it contains an effective tagging system. Tagging is clutch because of the way it cuts across all other organizational paradigms (like projects, subtask hierarchy, dates, and more). Third, it’s fast. Fourth, it’s multi-device, real-time, not only with my phone and with a Windows desktop app, but also a webpage as well. Finally, it’s affordable. If you’re looking for a great task management tracker, try Todoist today. 10) Could Teamwork Project Be the Perfect Task/Project Manager for You? Over the past year, this Irish software development company has distinguished itself at finding what could be a great financial approach to helping organizations, churches, and companies afford software designed to help them keep track of projects, milestones, goals, and the people who make them happen. Their project management software includes a “free forever” trial (limited to two projects and 100 megs of stored files), and a decently-priced pro version (essentially $45/month for 50 users, 300 projects, and 100 gigs). What we miss when we evaluate Teamwork, however, is that both of these levels (the “free forever” AND the pro version) can accommodate an unlimited number of collaborators across an unlimited amount of time. The company offers its software on the web, as well as via apps that are available for virtually every type of device, including iOS, Android, Mac, and Windows PC. It’s definitely worth the look. What’s YOUR opinion on project managers like these? Click Comment following the web version of this item to share your voice about whether or not these project managers hold out any hope to track disciple-making and church multiplication. *** Right now, I’m using Flow but I have to admit, I don’t like that it’s “online” only. (It won’t work when your phone or laptop goes out of connectivity.) But the collaborative portion is great. This has to be one of the biggest markets in the entire app world. 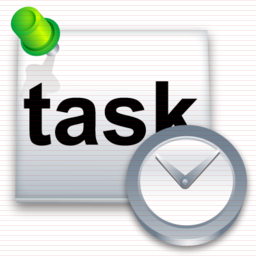 There are probably more task management apps than all the tasks on my task list! (And that’s currently quite a few.) What’s your favorite?